Kevin Scott (CVO-USGS) and Dave Tucker (WWU) have been mapping out distributions of Holocene tephras from Mount Baker. Microprobe chemistry, thickness, grain size, and many 14C dates have been obtained. This study will be part of a larger USGS Professional Report on the Holocene history and geology of Mount Baker that will probably be published towards the end of 2009. Some details have appeared in various abstracts by Scott and Tucker (see ‘abstracts’ page). 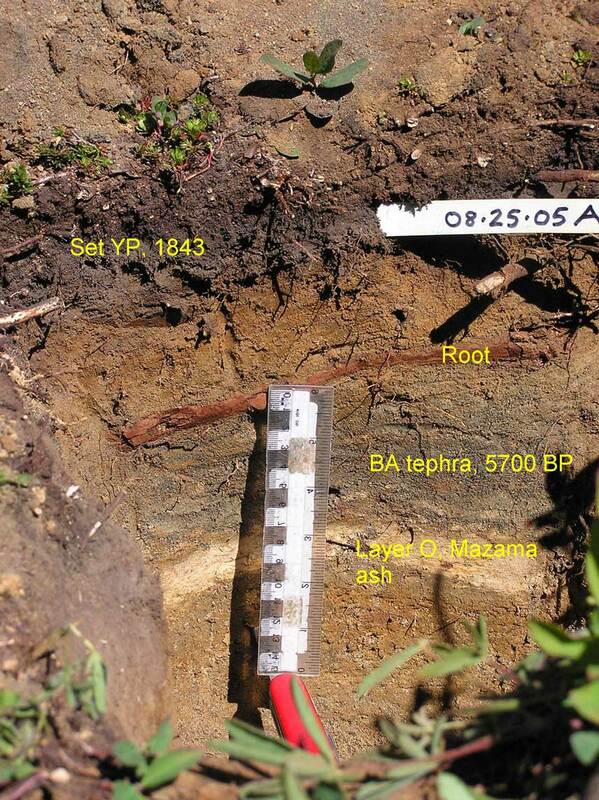 Three post-glacial eruptive periods have been defined, in part based on the ages of these tephra deposits. More information on these results is in the attached document. These photos were taken on Ptarmigan Ridge, 11 km NE of Sherman Crater. The upper photo shows a number of tephras found on the flanks of Mount Baker. 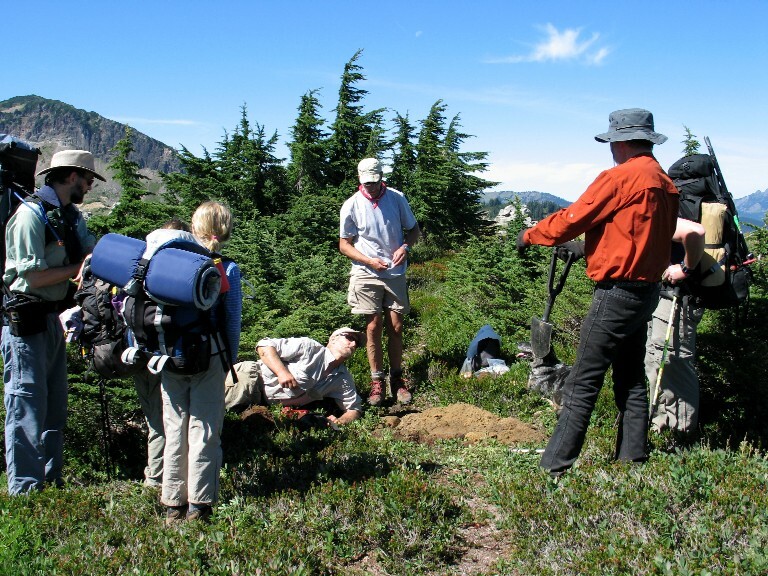 It is pretty hard to do field work in solitude along the popular trails of Mount Baker, as the second photo shows. Here, Dave Tucker, lying down, points to tephra in the pit while a family of backpackers ask questions. Dave Lewis, center, and Kevin Scott, in the orange shirt, help with explanations. We have found that the public is almost always curious to know what we are up to.